Santa's elves get up to mischief. Read what they wrote here! Santa’s elves get up to mischief. Read what they wrote here! Santa’s elves are running around & getting into mischief. This one took an “elfie”. Hello? Hello? It’s Santa’s elves here! Is this thing working? I pressed all the buttons. Did you activate the voice recorder? So why are we arguing? I am one of Santa’s elves. Me too. I am one of Santa’s elves. Me three! I am one of Santa’s elves three! Santa told us not to use his computer in case we delete something by mistake. Yeah, but we wanted to send all the children of the world a message. All of them, even the ones living on the moon. Do children live on the moon? Anyway, we wanted to say hello to all of you. And wish you a Merry Christmas. Shhhhhhhhhh! Santa will hear us. Santa’s elves are getting into mischief! Um, How are you doing? Then why are we talking? No, no, no, they will hear us, but not right now. The message has to be beamed up to outer space and back. So the children on the moon will hear it first? If there are children on the moon. I heard that there were children on the moon. They are all made of cheese. They must be stinky. Stinkier than normal children. Oh, I know what to say. I just had a look at the naughty and nice list. Almost everyone is on the nice list. That means that almost everyone will be getting Christmas presents. What about the ones not on the nice list? There is still time for them. All they have to do is try. Being nice is not about always doing nice things. It is about trying to do nice things. Yeah, and trying not to do naughty things. And, trying to be the best child, or elf, that you can be. I think I hear Santa Claus coming! Do you have any messages for us elves? You can click here to tell us or, scroll down to see all our messages! Do you think we’re being naughty? Oh, yes, make sure you save the naughty and nice list before you close it. No! Don’t press that one. I think I just deleted the naughty and nice list. Is Elfie Bennett okay? He is my elf on the shelf. By the way never sneak into Santa’s computer again. p.s. answer my question please elves. Wow elf and did you know that they are no kids on the moon love you elf. Why are you being soooooooo naughty today? I know, I know, it’s really and truly too early to be writing a Christmas letter, but Santa, I have been asking for an iPhone every Christmas and you never bring it to me! Will you give me one this year? Thanks! 2.) How do you go to everybody’s houses in just one night? 3.) Are you friends with God and Jesus? 5.) How old are you? 6.) Will you die soon? 8.) When where you born? That’s all the questions I have for now! I ask more later. Thanks again for reading this and have a MERRY CHRISTMAS! Hey Santa those naughty elves are being really weird because they have been playing with your computer and they maybe deleted the naughty and nice list I just hope you gave them a swat on the rump! SANTAAAAAAAAAAAAAA! Your elves deleted the naughty and nice list! Meow! I want to scratch them, also please tell your elves that no Twoleg or cat lives on the moon. Bye! Mrrow! santa is real!!!!!!!!!!!!!!! it took a lot of reaserch but i did it ! i told my perents to thay sed it was true and if you dont beleve me ask your perents and the only person that can do that is god and jesus christ!!!!!!!!!!!!!!!!!!!!!!!!!!!!!!!!!!!!!!!!!!!!!!!!!!!!!!!!! I think you guys should be asleep and not cheating if Santa is here or not go back to bed and then you can look at you presents in the morning go back to bed now! Dear Santa Claus , Your elf’s are super crazy.But they are still nice. Dear Santa. I sent you a letter saying that I want Roblox 50 dollar gift card and I did not get it. dear elves that could be a naughty thing to sneak on santas computer next time dont do that sneaking could kinda be naughty i hope you are excited 140 more sleeps from owen ! U Little Cheeky Elves!Lol U Three Are Cooku CocoNuts….Tell Santa I Said Hai! Hi sana tell your elves that only adults that are highly trained go to the moon no one lives there. And you should teach them how to do a blog and not to touch your stuff. Oops!! I wasn’t meant to say that sorry elves!! hi Santa how is Alfie and Jester going? I surely do miss them.you are special too! I am 7 please write back to me. Hi Santa ,I tried so hard to be extra good.can Alfie and Jester come back tonight with no bobble or shoe’s plain red legs? if you ever need help call me. You are in my heart forever!I surely do understand you! happy new year to you! I think that the elves are being really noughty and should tell Santa what they did. Is Santa angry that the elves deleted the naughty and nice list? !Wich elves were causing mischief? I love xmas and the world. Dear elve you look so cute can you tell till is your job fun or hard making toys. Elves no one lives on the moon! Thank you Santa!! I didn’t get what I wished for but I got lots of stuff that I liked! Thanks again. Hey guys what are you guys doing in Santa room.I think that was kind of funny. Lol! The elves get up to such mischief they deserve to be on a trying list! Merry Christmas! You sill elves! santa your elves deleted the naughty and nice list! 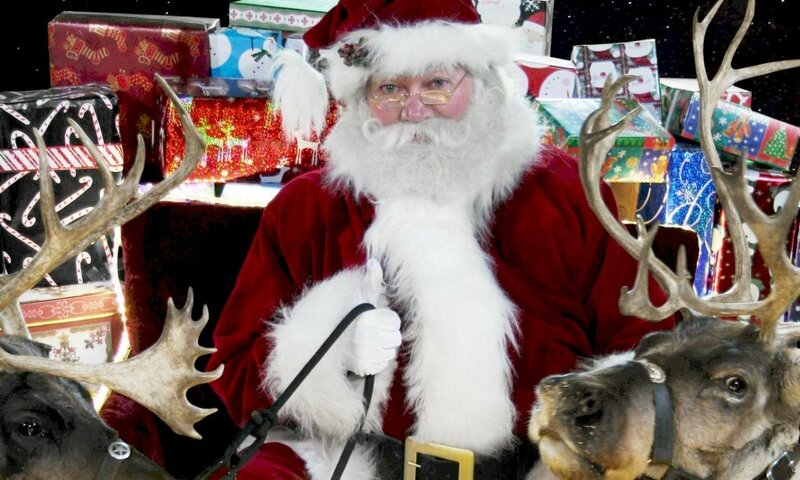 hi do you have any puppies in the sleigh? elves are never good that why they cant even wrap christmas presents right. Hi elves I’ve been good and I hope you’ve received my present from me it has little thank you cards on them ! First of all am I on the nice list and I have some questions. Will the elves on the shelves disappear after christmas? Is santa on his way to our house and will it take 4 hours? How many people are on the bad list ? Did santa mke the elves on the shelves?Thats all the questions. I think you are going to get in big trouble and will be on the naughty list. Hi santa!! it’s already Christmas Eve. I want to now have a pet elf even though it sounds like they are very mischievous. everyone makes mistakes but they make a lot!! And make sure to tell them that there are not any kids living on the moon. If there is then we don’t know about them. Don’t forget: you have cookies and some milk waiting on you! Bye!!! p.s. I really, really,really, really,really want a real alive pet sloth. please!! HEY ELVES I JUST WANTED TO ASK YOU ARE THERE REAL DETECTIVE ELVES IF THERE ARE DO THEY COME FROM THE CHEMNY TO. AND SANTA CALUSA TOLD THAT I AM ONE OF YOUR FAVORITE CHILD IN ALEY LEBANON. IF I AM . YOU ARE MY THREE FAVORITE ELVES TOO. LOVE YOU ALL! I think you should be a little bit more careful with your elves because they just got into your computer and were talking to the whole world! I think these elves are being very naughty. Santa trusts them, and they should respect him! If they are telling kids to be nice, then maybe they should. Also, the don’t want to get in trouble by Mrs. Claus! WHY DID YOU DELETE THE NAUGHTY AND NICE LIST?!!! You should ask Santa before using his computer!! Anyway you guys seem fun!! You guys are being very naughty and won’t get any presents for christmas!! Dear Santa can i please see you tonight thank you so much for all of my gifts you are a kind gentleman. Can i get cheese please? you are so cool santa I love that you are so kind and tell your elfs to hurry up for christmas oho I was’t supposed to say that!!!!!!!!!!!!!!!!!!!!!!!!!!!!!!!!!!!!!!! YOU are so funny you Elfs well merry Christmas and a happy new year. I don’t know if you are reading this or not but I just wanted to say that your elves said that Christmas was Mooney. I don’t think that they should be your nice elves, I think that they should be your naughty elves. Merry Christmas and a new year!! 2019!!! I’ve wanted to know this answer the moment I opened my eyes ready who is on the naughty list and who is on the nice list? I think you are so cute elves are you coming with Santa claus!!!!!!!!! When you come to my house!!! Hi elf’s how are you doing? We really want lol dolls and jojobows. And Barbie dolls. I heard there is a n lol suprise house, can you get me that too? Oh and while your at it get charla a new dress and mommy a free Starbucks card and my daddy a robot he likes those. Hi there Elves! I’m watching you. You should behave and whatever you do, don’t touch Santa’s computer. I love you, thank you for all you do. See people aren’t the only ones that need to be cool watched! Wasssup everyone at the north pole and whoever else is reading this! I hope y’all have been good, ’cause I’ve tried! Hope y’all have to! Adios! i have a question, how do the reindeer fly is it magic food or powers, or is it something else? hi Santa, This is Chloe Noel here but people call me Coco. How are you doing? I am doing great!I hope I’m on the nice list this year. So you elf Elenor is my elf and she is SO GREAT! my mom and dad will e-mail you my chrisms list! I hope you have a MERRY CHRISTMAS! if you deleted the list does santa have to make it again? I have proof that santa is real! Can I please have an Elf in the Shelf for Christmas? By the way you are SO funny! You guys are sooooooooooooooooooooooooooooo naughty!!!!!!!!!!! Hi elves i have been g ood! Be nice to everyone not just your friends! I hope you have fun on your Christmas adventure around the world! Today at school I saw Sprinkles the elf! She was sitting on our fire alarm. I was really surprised to see her out in the hallway, but I thank her for the candy canes and I hope you enjoyed the movie the other class watched! ‘Elf’ was very cool! and also cute and funny. I really liked that movie and I wanna watch it again! I have to go to bed now though. Goodnight to you all! Hello! I wish you elves, Santa, Mrs. Claus, and the reindeers a very merry Christmas! Only 3 more days until Christmas and I’m so excited! I am grateful for whatever I get on Christmas day and I love Christmas because its the day Jesus was born! I will probably send another comment but not today, It’s nearly my bed time now! Goodnight to you all! I think you where being very noddy and that if you come to my house then you will have to be on your best behaviors and if you are not Santa will hear about it. How many toys do you think you make each year? Your elves have been a bit naughty! Mabye you should keep a closer eye on them. Also I hope that they haven’t missed out on making any of the presents. OOOOOOOOOOOOOOOMMMMMMMMMMMMMMGGGGGGGGGGGGGGGG!!!!!!!!!!!!!!!!!!!!!!!!!!!!!!!!!!!!!!!!!!!!!!!! !I can not believe I am talking to you right now!Oh,and you should punish your 3 elves.They ruined your computer. Santa!!!!!! !Your elves have messed up your computer!!!!!!!!! !They deleated your naughty and nice list!!!! !I have two younger siblings I can take care of them if you bring me there on Christmas Eve. Elves i want one of you but you never come to my house so please come to night and write me some. Do you know my elf, Merry, she is very good but sometimes shes quit cheeky! I wonder how many elfs there are in the noth pole?? Your elves need to make me some pumpkin pie. Why are you so bold all the time!!,! Merry Chirsmas Santa Claus and Mrs Santa Claus. Silly little elf’s, getting into mischief sooooo much (plus it’s me Caroline) I could pick a elf up and give him a piggy back ride! Those elves are naughty! I hope you guys say sorry to Santa . love you! Hi elves, hope your feeling alright! I hope I’m on the good list! Anyway gotta go to school, BYE! dear santa your elves are touching your computer plese teach them to use a camara !?!?!?! OR NOT!?! I loved your message I am I on the nice list? I would really like a claw machine for Christmas so can I please? Hey Santa’s elves you should be o n the naughty list for not listening to Santa about not using his computer. You have been bad elves so that means no Christmas presents for you elves. Such naughty elves you deserve coal. hahahaha! sorry elves <3 ya but you broke Santa's rules! so your naughty! MERRY CHRISTMAS! I HOPE WE ARE ON THE NICE LIST. TELL YOUR ELVES THAT THERE ARE NO PEOPLE ON THE MOON! HAVE AN INCREDDIBLE TIME READING “A CHRISTMAS CAROL” I HOPE YOU RIDE SAFELY IN YOUR SLEIGH. OUR ELVES ARE BELLA AND ELFDOG AND THE Y ARE REALLY CHEEKY. BUT YOU NEED TO TELL YOUR ELVES THAT NO CHILDREN LIVE ON THE MOON. AND TELL YOUR ELVES TO GET OFF THE COMPUTER. OOPS I WASN’T SUPPOSED TO SAY THAT. BUT THANK YOU FOR BEING SO KIND AND THOUGHTFUL. Your being naughty little elves. Santa your elves were on the blog. can i see a picture of you? I love santa! I love all the reindeer. I love the elves. Do you ck on me at school? Have I moved on to the nice list? Did I change from the naughty list to the nice list? Dear elves you make me laugh. You are so funny. There is no kids on the moon. That’s silly. I hope you didnt get In trouble with santa. Hi santa lm back angin . Di you no what your elf’s done ! ?If yes did you punish them 5 elfs santa ? Or did Miss clause said,,we will give them one more chance !,, If yes then you should of bunshde them righte a way . Hi santa lm back angin . Let me tell you something about your elfs .Di you no what they done ? !If yes did you punish them 5 elfs santa ? Or did Miss clause said,,we will give them one more chance !,, If yes then you should of bunshde them righte a way . You are the best santa . Some of my friends say ,,He is not real ,,. But l don’t believe that because l believe what is in my heart . naughty . I think they licke to mess a rowned with things . That’s what I just won’t for Christmas . Hi! Is my favorite elf there? Blinky, Its Marina!!!! Answer Blinky!!!! Can you do a video on it. erry chirstmas to you and mrs claus. OMG the elves are SOOOOOOOOOOOOOOOOOOOOOOOOOOOOOOOOOOOOOOOOOOOOOOOOOOOOOOOOOOOOOOOOOOOOOOOOOOOOOOOOOOOOOOOOOOOOOOOOOOOOOOOOOOOOOOOOOO naughty!!!!!!!!!!!!!!!!!!!!!!!!!!!!!!!!!!!!!!! Your elfs are so naughty . Your awesome! Elves, I am really hoping you don’t get in trouble. All you need is your own blog! See? Problem solved. Don’t get mad a Santa though, after all, you DID go on the computer and deleted the naughty and nice list. Don’t be naughty! “Zella sent me!” I know she will believe then. Cause I am determined. YOur awesome, keep up the good work! hi elfie i really hope youve enjoyed staying and hiding at our house. i love and hope you come back every year. P.S. The person next to me (on the left) in the picture is my best friend. P.S. your elves seem very silly thinking that children live on the moon! I WILL TELL SANTA WHAT YOU DID!!!!!!!!!!!!!!!!!!!!!!!!!!!!!!!!!!!!!!!!!!!!! I had a spelling mistake in my email.Pollen was supposed to be Pokken. Hi im Olivia Im sure ive been good this year my elf on the shelf is pretty silly She has been trying to go in the snow and trying to kiss Joseph Baby Jesuses Fauther and marry my barbie doll AND kiss three indian statues Hehee so im done with this message Bye! dear santa, i hope i can see you one day. Hello I have a elf on the shelf do you know what’s it’s name? Paulshaw. Santa. Claus. Finding. In. Santa. Work. Shop. Now day. Hello Elves! My name is Evie! I bet you’re some of the naughty Elves! Can’t you make your picture clearer too! Sorry! Hi, I was just wondering if Santa could get me an iPod and LOL dolls? Dear elfs, we kids do not live on the moon and do you know my elf o the shelf Snowflake? shes the best! and tell me more what my elf did for the whole year when she was not with me bye love you elfs and Santa P.s. You elfs are gonna be in trouble. Stop elves! You’ll be on the naughty list!If you won’t I’ll tell Santa you lil mischief making elves! !soo you better be good!! Hi elf’s I hope you know Holly and buddy. Yes.no. please tell me. Your elves deleted the naughty and nice list so I guess every one is on the nice list right? Pleaseeeee say that everyone is on the nice list especially meeee please say especially me. hey,an you try and find chippy.he looks like this:red hat,red suit,blue eyes always smiles.can you please find him if you do tell him to come back to us.thank you so so so so so so much! we miss him!by.love hailey. # you guys are so so so naughty and you better stop getting into mischief around the north pole and can you pleaseeeeeeeeeeeeeeeeeeeeeeeeeeeeeeeeeeeeeeeeeeeeee send me the naughty and nce list. # p.s can you please tell eli ( my elve on the shelve) to act a tiny bit better. Hi you mischief little elves. You sure do cause trouble i the north pole don’t you! This christmas can you pleaseeeeeeeeeeeeeeeeeeeeeeeeeeeeeeeeeeeeeeeeeeeeeeeeeeeee make me my own computer. Hi you mischief little elves. You sure do cause trouble i the north pole don’t you! This christmas can you pleaseeeeeeeeeeeeeeeeeeeeeeeeeeeeeeeeeeeeeeeeeeeeeeeeeeeee make me a i phone 8.
one of my friends say that elf’s are dumb and santa isn’t real. Don’t be naughty because Santa will put you on the naughty list. Hi elves! Have a merry christmas and a happy new year! Tell santa that i said hi too! And the reindeers and mrs claus! Xoxoxoxoxoxoxoxoxoxo! sorry elves but you are being a bit naughty but only abit so yeah just be good at leeaast! Santa your elves are so naughty did! My elf on the shelf says hi,he misses you a lot. Dear Santa, did you know your elf had been making mischief? They deleted something in the nice or naughty book! WELL IT DOES DEPEND ON HOW YOU GUYS ARE ACTING SOMETIMES BUT, ATLEAST I’M ON THE NICE LIST AND I’M GOING TO TELL YOU WHAT I WANT FOR CHRISTIMAS THIS YEAR SO ;1 I WANT CHELSEA DOLLS ;2 I WANT KEN DOLLS AND BARBIE PLAY SETS AND ;3 I WANT BARBIE HOUSES SKIPPER, STAICY, AND CHELSEA DOLLS. WELL MERRY CHRISTIMAS. I’m telling Santa you used his new computer!! You naughty elves, but i forgive you only because you’re very helfful, get it, elf! Let me tell you just one thing; you’re so cute and btw how old are you? How tall are you? Thank you! Sending hugs and kisses for you all! wow I am going to tell Santa you naughty elves. Please tell my elves at home to have some fun and they are more than welcome to cause a little mischief because having a little mischief is okay . Hi Santa! I was going to say that everyone deserves second chances (like those elves) and I hope that all my wishes come true and I hope that everybody has an amazing and merry Christmas! u elves are being very bad. i hope Santa remakes the naughty and nice list soon! PS: tell Santa i want lol dolls. Why did the elves delete the nice list? My guess is that there are about 4,000 people on the nice list. Well,at least they didn’t delete the naughty list. Hi elves what is your favorite part about being at the North pole?say hi to The reindeer for me. On December 1st did you take a selfie of yourself on my phone. Santa, and the elves, merry Christmas! Have a good one! my parents say i am too old for Christmas, but I don’t think so! Love you all at the North Pole! Hello naughty elfs, how are you this lovely December 1st. Hey guys i have a question do you guys know Pebbles she is my elf she is SO GOOD! I LOVE HER !!!! yes you are because your disobeying Santa. when they said do you think we are being norty i think they are because Santa said not to hop on his computer and they did so ye. please can one of you elf’s come to my house on December 1st and leave in January .I really want an elf .I promise i won’t touch you. You elves should all be on the naughty list! I love Christmas and and mornings and I like you and I sor you on the cam. Yes, you are always getting into trouble……………………..I like it! Dear Santa, your elves were on your computer texting, and deleted the naughty and nice list. Do you know about this? Why does a duck have fathers on their backside? Dear Santa, I think you are so sweet for giving all us kids who behave gifts. I love that you do this for us. You’re being naughty! You’re being silly. Hi. You elves better be good or Santa is going to get you in trouble and there will be no toys! From Kameryn. Hi elves I was wondering do you go with Santa on Christmas Eve if you do can you tell me what it’s like? Happy holidays! Dear three elves , were you good this year ?, I was I hope you all have fun this Christmas season. Hi I hope you guys have a happy cristmas.I think that Santa is real? he is real! But kids don’t live on the moon. I think that Santa can’t go to the moon.my dad got a picture of Santa last year.and if kids live on the moon there not cheese.! Dear Santa, your elves are SILLY!!! Also can you please get me a elf on a shelf?I LOVE YOU!!! Hi and elfs we live in earth not in the moon haha haha well anyways I know you invented phones clumsy and you trip over them and I know the brachial story too hahaha byeeee!!!! I love you way are your names? Hi Santa I have been good this year I hope you will give me lots of presents I know that’s not what it’s all about it’s about Christmas cheer. Merry Christmas! Dont work too hars…get a good night sleep each night. Your elves are very naughty. They should be on the naughty list because they probably deleted your lists. Can you tell Santa that i was a good kid because my mommy and daddy say that. Hi elves! I think your funny and I have a question. Can you ask my elf Mardy if he can come early this year? thank you elves! Bye. Dear,elf What are you doing right now? Hello elves! STOP GETTING INTO TROUBLE! We might even tell Santa, so stay out of trouble. You could possibly delete the good and bad list. We have been loving our presents, and this year we would like a note from all of you. Hiya there, are you the elfs? I heard you guys are silly!! Wowzerpants!! Hope you guys have fun making toys and having fun and…whatever else you guys do. But have a good Christmas and I’m Phoenix. P.s don’t tell Santa I asked but am I on the nice list I hope I am. Hiya there, are you the lets? I heard you guys are silly!! Wowzerpants!! Hope you guys have fun making toys and having fun and…whatever else you guys do. But have a good Christmas and I’m Phoenix. the elfs deleted the naughty and the nice list Santa is going to be mad. How do you make so many presents.Can you elvs send a photo of you please. Photo. 1. Paulshaw. Santa Claus call. Me now. At Northpole. i will take over the universe muahahahahaha!!!!!!!! Wow elves you are busted!!!!! What is your phone number. And may i get a nother wish i want Christmas smile. Santa i love you and i want to tell you what your number. Hey santa i love you .Tell your elf that I love them. hello there elves and santa and mrs clause and the reindeers hope your having great time.can one of the elves come to my house for december?? Hola elfos soy una de las nenas de la lista de santa de los que se portan bien. To Santa .your elves are being very cheeky! I think they have deleted your list! Hi there Elves. If you have time can you send my Hello And loving to Andy Please Andy Castro. hi’ my name is justise and i just wanted to say MERRY CHRISTMAS! and i/we hope that santa has another or remembers the noaghty and nice list and tell your elf’s that kids don’t live on the moon.and also i think you should help your elf’s on the blog .oops i’m not supposed to say that. sincerilly,justise MERRY CHRISTMAS! Um, Santa, I think your elves are messing up your computer. i think your elf’s are just having some fun . You guys are in big trouble! If you have an elf named Finn there please have him write back to me because I miss him. And you other Elfs should probobly stay off of Santas computer after this. Love you all bye! If. Go. To. Bast.by P. Up. Josh. You might not like to hear this but the elves deleted the naughty and nice list! I forgive them though! how did you get to be a elf is it fun. some of our elves are on computer Santa!!!!!! I wish you can bring me presents on Cristmas eve. I wish Cristmas eve. I like to say thank you for bring presents last year. I wash but you can’t because it’s not Cristmas. Santa your elf s are up to no good! how tall are you elves? hello You Silly elves how are you my wht are you guys doing now? Santa!!!! Watch out those elf’s are naughtier then us!!!! Tell Santa to bring Dot, my scout elf back to my house, please! Thanks! How dare u just rlly HOW DARE U!!!! couccu je m’appelle Karim comme kactus et j’ai 7 ans jai cliquer ici car c’étai joli et surligner. Bref ct pour savoir si a cause du temps frisquai au pole nord tavai pas la creve comme maman elle dit ? Car stv jpeu te laisser des dolipranes cet ané avec les cooies et le lai de brebis ?Repond moi vite tu compte pour mwa, tu sai ma vi c pas facile jai un controle ce moi ci et c unz dicter sauf que je sui pas tre for en aurtheaugrafe, bisus loulou je t’aime autant que le train sncf. I love you elves so much merry Christmas. Kids don’t live on the moon! You silly elves you are in trooobbblleeee don’t worry santa can’t stay mad at anyone!he is soooo sweet and you guys too……. NAUTY ELVES!!!!!!!!!! SANTA, YOU SHOULD PUNISH THEM!!!!!!! I think they are getting in a lot of trouble.Okay now i want to play the game trouble. Why would they try to do that with out permission.My elf Jamy once made me breakfeast,DUDE he”s crazy!!!!!!! !SOME HOW HE MADE ME TOUST AND PUT NUTELA AND SPRINKLS ON IT!!!!!!!!!!!!!!!!!!!!!!!!!! !I MEAN DUDE IT WAS AMAZING!!!!!!!!!!!!!!!!!!!!!!!!!!!!!!!!!! Dear Santa please tell the elfs that there are no children on the moon. Cheese is not on the moon either.Also your elfs are very cheeky. am i on da nice list???????? I want my anime body pillow!!!!!!!! Can you please get me one of those bowling Balls please thank you love you apreicate all the stuff you do for me and the world! hi im lily its very funny how your elves wrote on your blog and how did they get the idea that children lived on the moon that were made out of cheese and also check your computer the elves deleted the nice and nagthy list and they should be on the naghty list thanks! Dear Santa, your elves have been on your blog and getting into trouble. Also they need grammar lessons because they’re not good at it. Hi noutey elf’s I hope your good elf’s. I think that the elves should get fired because they were being naughty. Couldnt they make their own computer anyways since they are elves and they are known for making stuff? Elves, please help Dancer. I heard that he isn’t feeling well. Do you no how many people are in the world. Good evening elves this is Hunter, I am 21 years old and I would like someone to sleep with me calming help me to get a job at RV and I have been waiting for RV world to call me, but if you’ll wouldn’t mind help me to build a RV that is big enough at least 90 ft. 80 CM. 70 Inches. And I need to make to reach ☝ to $28,00.00 and buy myself a diesel , build a ⛽ pump and separate the ⛽, and put all the auto fluid in my storage building and my door knob is broken but not completely. I love you! Hey i the elves and i want to ask you am i on your naughty or nice list and my friend Hallie doesn’t believe in you. Tell all your raindear and elves i them. I you to. Uh-oh!! Santa this is an emergency!! Your elves have deleted the naughty and nice list!!!!!! I hope you can use your very special magic to get it back or Christmas could be a disaster because you might give a nice girl coal and a naughty one all of the good presents. Also you need to tell your sully little elves that children don’t live on the moon!! That would take ages for you to go to the moon and come to the earth!! Anyway I hope everyone in the north pole has an amazing Christmas from me even those silly bully little elves!! Goodbye santa! Please make this the BEST CHRISTMAS EVER!! Thank you Santa! Hai Elves I Wove You!! Hey my little elves. You really are quite naughty and that’s not good!! And also there are no children on the moon so you need to tell Santa not to go up there!! I hope you have an amazing Christmas and have fun making all of our presents this year!! YOU ELVES NEED TO LISEN TO SANTA!!!!!! Also say hi to my elf Nick. My birthday is on thanksgiving this year!! !Santa I love you!!!!!! !! How are you and braydee doing today.I love you and braydee the eif. I was wondering if you are allergic to anything if you are please tell me. Can you please tell me what your favorite treats are.Can you give Brady the elf a friend to work with this year. THANK YOU SO SO MUCH!!!!! I want a elf so I can see him so he can prove to mom you are real guys I want a phone and LOL doll and computer and PHONE !!!!!!!!!!!!!!!!!! THERE ARE NO CHILDREN ON THE MOON and you ruined Christmas I think, I hope not. Hi Santa, please tell Dotty[my elf] that I really miss her and that I am really excited for when she comes back as I have so much to tell her!!!!! Whatever people say, I do still believe in you!! Oh, I tell the elves that no kids live on the moon. Hi! Even if im 13 and most people my age do not believe in santa anymore, i dont have an opinion on the matter, so i like to tell myself you are real, using this website on my computer has become one of my favourite things to do every year and i hope i can still use this website for many years to come, thank you for making every year exciting and special! Dear Elves, Why are you always up to mischief? The wonderful names on the list a thought I like there names and I want a name as good but I know I can’t because all name are unique and.. I can’t take one! Hey Santa how are Mrs.Claus’ cookies? Hi please give this to bucket……..
Hi please give this to buckle ………. Haha! So funny but that’s being naughty! Oh elves by the way tell my elf I said I miss him but if you don’t know his name its Passco I think that’s how you spell it but it’s how you say Christmas in the Phillipines! Hello! Kids cannot live on the Moon… Haha. Merry Christmas. Hi Santa please come to my house tomorrow night at 6:00 pm I love U so much ! Did y’all get in trouble by santa ! Hi, DONT GET IN TO ANY MORE TRUBBLE athore wise Santa will be VERY MAD!!!!!!!!! Santa told me that I was one of your favorites. I wanted to tell you that the email Rudolph from your pet thing wont work. how are you doing i hope you are doing good. my name is. Rjay bye. Wow evles are into mischief. And evles i dont think children can be on the moon no air. No food. No water. And they are not made of cheese what? The moon isnt cheese either. ??? Heya santa! i wish i can have an elf so we can be besties and also tell everyone i said heya.I lova ya guys <3!!!! I want lasagna, but Jon is out running with Odie. Or you will get . ☺Dear elves tell the truth ma k my day. Dear Elves, hi I’m Jenna and I’m 11 years old. you see I read about you talking about the naughty and nice list and I had to say that I’m a honorary elf of Santa’s, and you see I have seen kids around me be very naughty, especially a girl in my 5th grade class. Today I spilled my soup all over my lap by accident and everyone in the cafeteria was silent except her. She was LAUGHING at me for doing it! I was really mad! And she didn’t even get in trouble, even after laughing at me constantly and lying about NOT laughing! when it was obviously her! what should I do? right now I’m at my house, but I’m still mad! what should I do? Hi elfs please can you tell Santa that I miss one of your friends thank you!!!!! Hi Santa i have heard about you since I was 1 year old my cousin says that your real yeah! by the way my name is cat. Hi i am Rihanna Corcoran and i am 11 and I hope wish I could have some of your elfs they are just crazy! Some of your elfs have been really naughty some are really good !please say I am on the good list! Santa I really want to see your workshop and I would 1 time come with you to the North pole could you pick me up one ☝time please! That was very adorable-desu. My friends Italy-kun and Germany-san are not as kind and sweet as you elves. All you three are a bit naughty but i think that nothing could take you of the nice list because you prepare toys all the time!!!!!!!!!!!!!!!!!!!!!!!!!!!!!!!!!!!!!!!!!!!!!!!!!!!!!!!!!!!!!!!!!!!!!!!! You are all very naughty. How could you delete Santa’s Nice or Naughty list? By the way, there are no children on the moon and none of them are made of cheese. Santa! The elves were on your computer and accidentally deleted the naughty and nice list!! and you`ll be in trouble. Y’all better not be a mischief or I’ll tell Santa Claus and he won’t be to happy about it but I love y’all and Santa Claus to and have a blessed Christmas. Your three elves are so nasty. to the elves, why did you delete the list! Their so notty Santa they deleted your nouhty and nice list!!! Those funny elves…. Hey Yougurt Drink & Abagalle I Wanted To Tell You This: I Went To My Moms Work……….YESTERDAY!!!!!! dear santas elves you are so cheeky I might tell santa that you did that do you know an elf called elfie??? Those bad elf’s I hope Santa gave them swats. SANTA!!!! The elves deleted your naughty or nice list!!!! That is why it is missing!!!! Alert. Alert. When it come to Xmas Santa will be wondering who was nice and who was good. Alert. Alert. dear santa your elfs were getting into mischief 3 of them one accidently I think deleted the naughty or nice list. Hello, my name is Danielle and I am a girl from New Jersey. I have always loved waking up to the smell of my Christmas tree and opening my presents. I want to thank you for making my Christmases so great. Wow. I am so sorry for you that you lost your list, but it’s still funny how the elves wrote in your blog. I hope that you can restore your list! Also how did your elves get the idea of the moon being made of cheese? I hope you have a nice December! The elves deleted the naughty and nice list!!!!! Emergency!!!!! The elves deleted the naughty and nice list!!! It was a mistake but after all you told them not to get on your computer!!!! hi santa. is it true that you hate chimneys. can you please come and pick me up so you can take me to the north pole? your elves are so crazy. I wish that I could take care of some of them! dear Santa . tall your elf’s that no kids live on the moon. and you should help your elf’s on the blog. oops I was not supposed to say that. Previous PostPrevious A Christmas Carol as told by Santa Claus. What do you think of it? Next PostNext Geocaching at the North Pole. What treasure would you find?